Dent in Skull? What Could Causes it? Having a dent in your skull is definitely not normal. The dent in skull can be caused by various things ranging from vitamin A toxicity to Gorham’s disease. Gorham’s disease is a disorder that causes one (or several) bones to turn into vascular tissue. The end result is a miss shaped skull. However, keep in mind that this is a very rare disease. 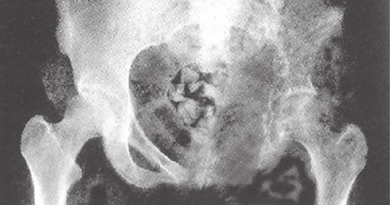 Gorham’s disease is often referred to as the “Vanishing Bone Disease” or “Disappearing Bone Disease”. As the bone disappears, it’s slowly replaced with lymphatic vessels. So the area where the bone used to be starts to become soft and misshapen. Who Does Gorham’s Disease Affect? Gorham’s disease (GSD) does not just affect the head but it can also affect the spine, pelvis, collarbone, and ribs and can even affect the jaw bone. Pain and swelling is also known to develop in those areas. The severity of this disease will vary from person to person. And unfortunately, the exact cause is unknown. The good news is that this is a relatively rare disease, so the chances are small that this is what’s causing your head indentation. 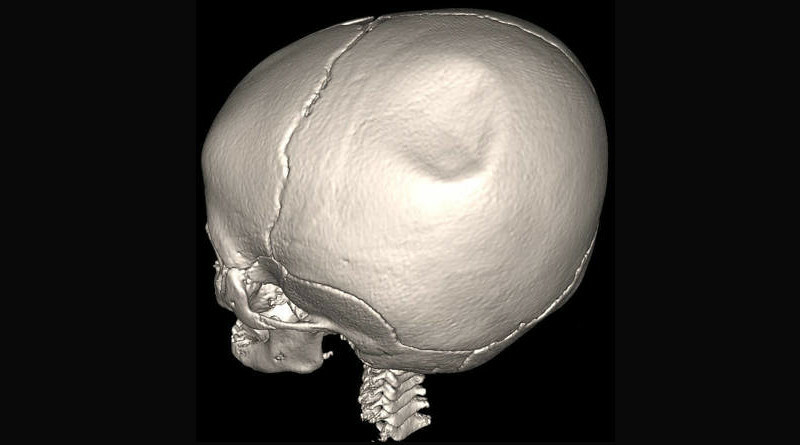 A dent in skull can also be caused by trauma. For instance, if you’re struck by an object it can cause the skull’s bones to crack, resulting in an inward dent. Most people would know if they’ve had any trauma to the head though, so if you haven’t, then you can rule this out as a possibility. In the medical community, this is referred to as a “Depressed Skull Fracture”. “Hypervitaminosis A” is the official term for vitamin A toxicity . This can cause bones to swell, leading to pain. Vitamin A toxicity can also cause skull bones to soften, leading to a dent. As its name implies, vitamin A toxicity happens when you consume too much vitamin A. If your child isn’t getting the right amount of vitamin A, then this can cause the bones in their head to become softened, leading to an indentation. If your child is experiencing any of these additional symptoms, then you should definitely have them cut back on the amount of Vitamin A that they’re consuming. This could very well be the reason why there is an indentation on their head. If you experience a prolonged pressure on your skull is another possibility. 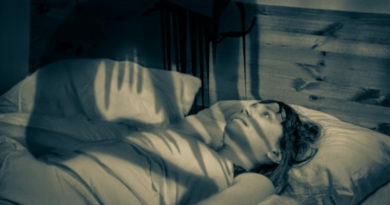 Again, this is something that you would easily notice (unless it’s happening when you’re sleeping). Be on the lookout for anything external that’s putting chronic pressure on your head. In some rare cases, an infection can lead to the erosion of the bones in the skull. If you have an infection, you’ll need to get on antibiotics to prevent the further development of the symptoms. Only your doctor will be able to tell you for sure whether you have an infection that’s causing your dent in skull. Yet another possible cause for your head indentation is meningitis. Meningitis is when the sac that lines your brain becomes inflamed. However, it’s usually associated with other symptoms like pain, so you would most likely know if you have this based on other causes. In some cases, a person might have this symptom for years before ever realizing it. In summary, some of the things that might cause a dent in skull include vitamin A toxicity, Gorham’s disease, trauma, and prolonged pressure.